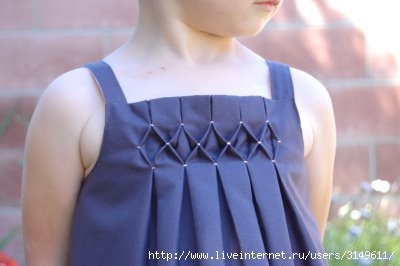 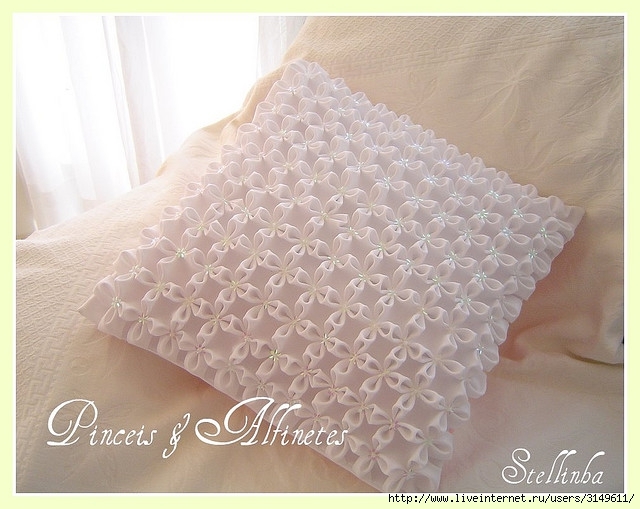 Buffets, puffs clothing ~ DIY Tutorial Ideas! 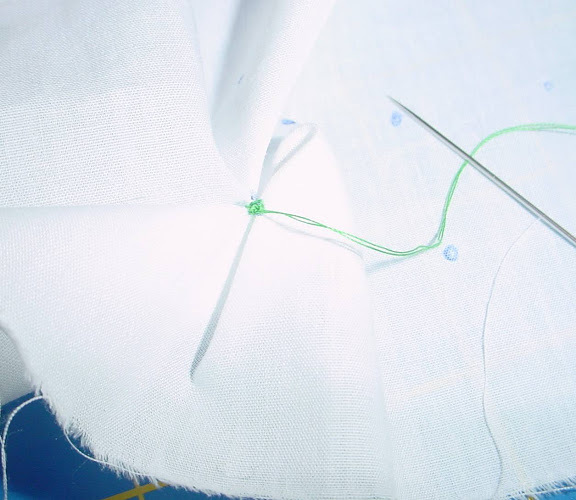 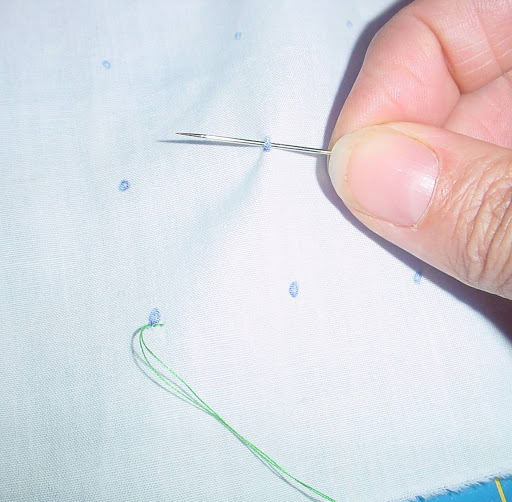 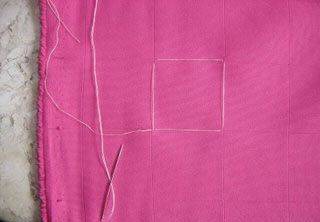 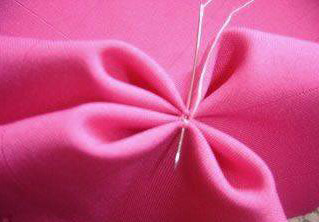 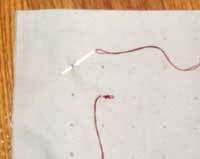 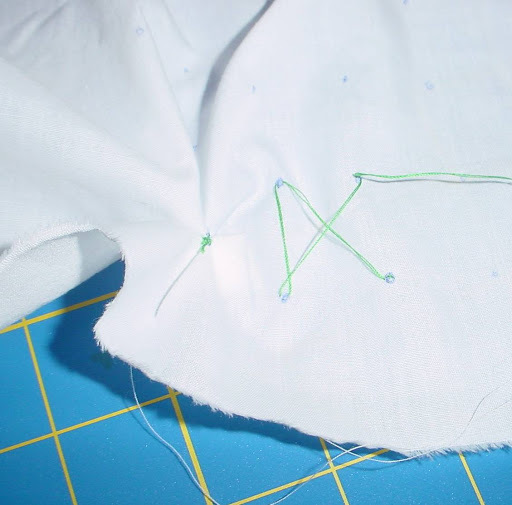 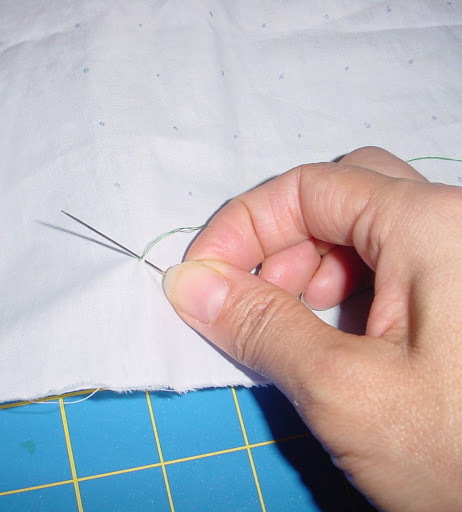 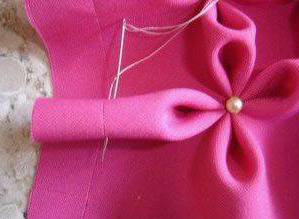 Buffers are collected on a strong thread, and the needle is pinched and removed so that the point is in the middle. 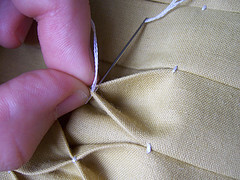 Then thread tight so that the resulting wrinkles were, but they could be moved. 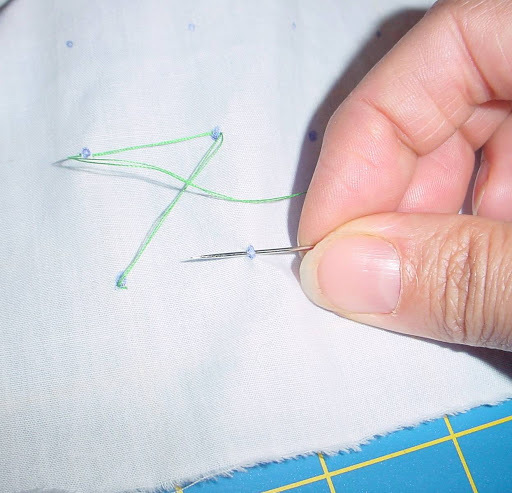 Each two ends of the thread are knotted. 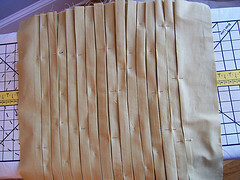 The next puncture is done under the starting point. 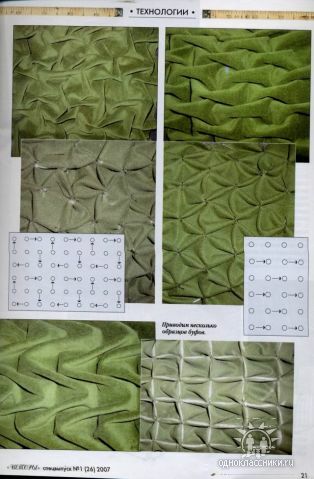 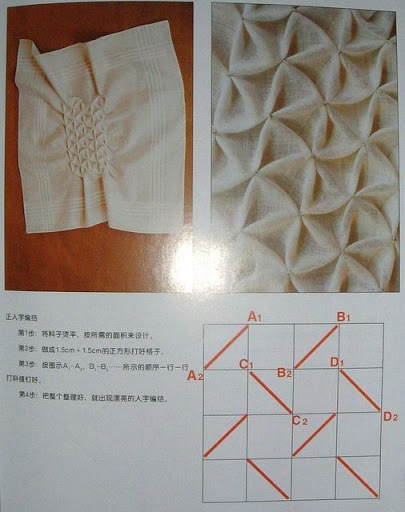 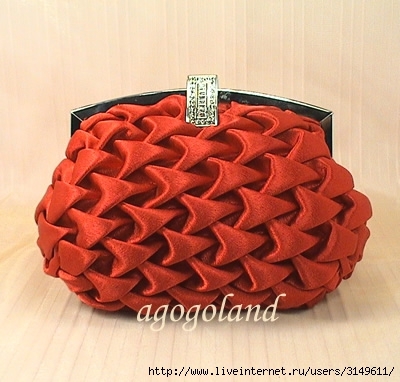 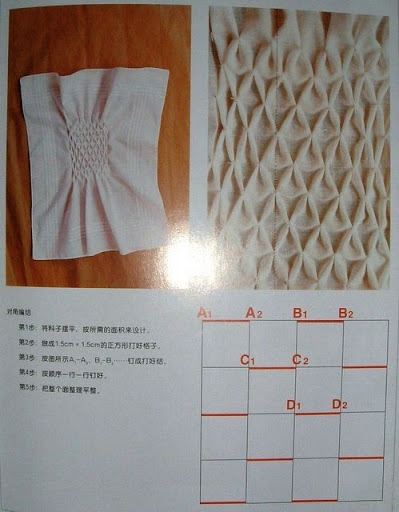 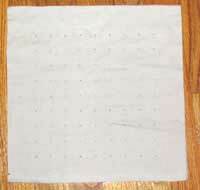 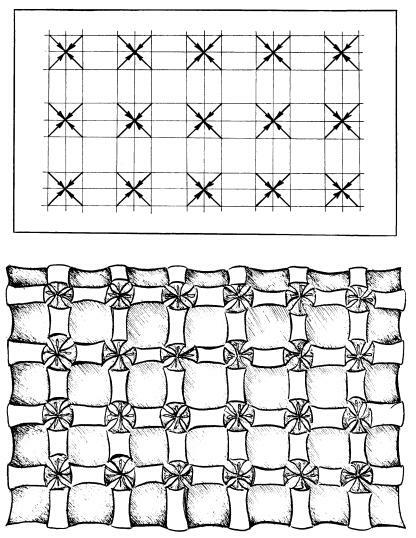 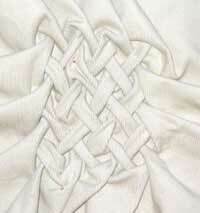 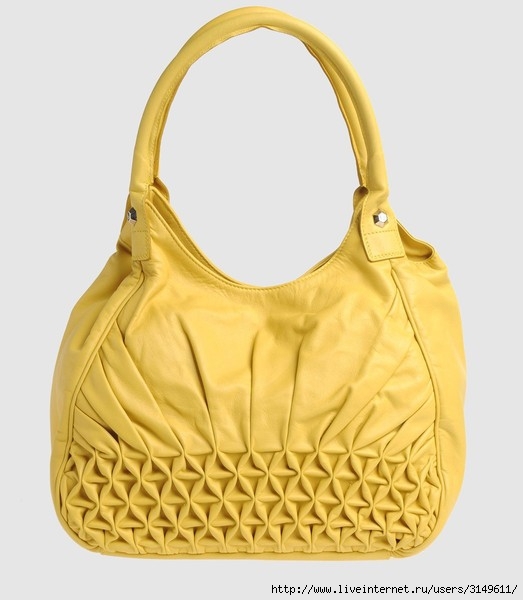 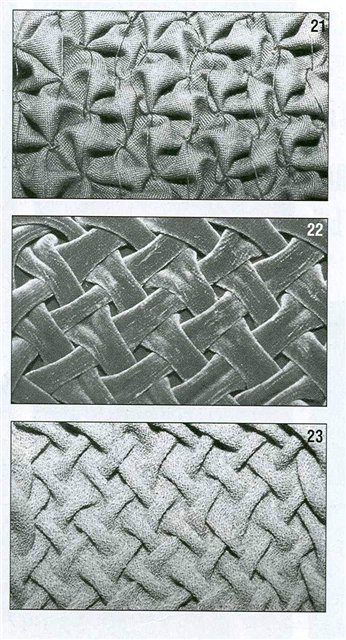 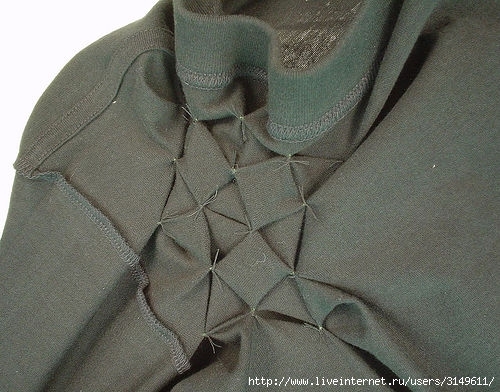 The buffers shown in the figure are obtained from several zigzag embroidered rows. 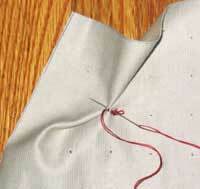 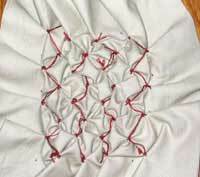 And again, the string is tightened so tightly that the creases obtained are standing, but they could be moved. 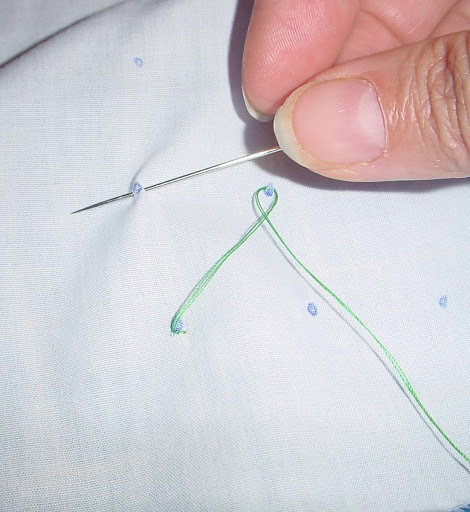 Each two ends of the thread are knotted. 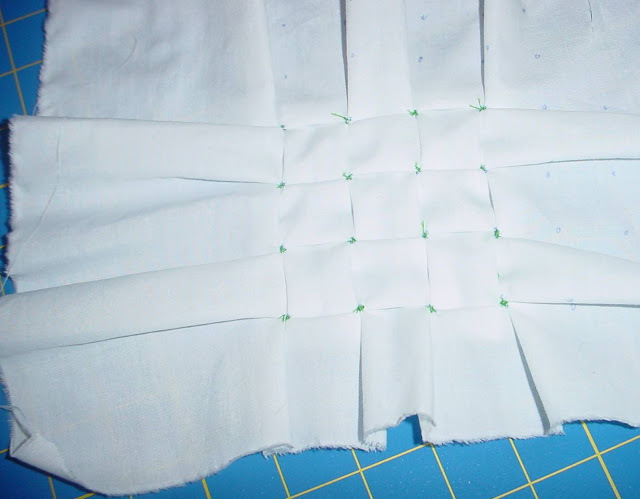 Repeat the previous steps and continue to work all the time down the row. 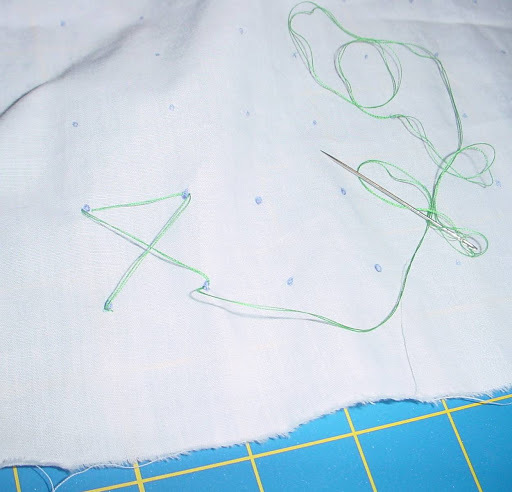 The threads forming the buffers will form a zig-zag. 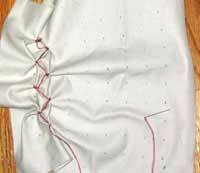 Fabric consumption on buffers is usually twice the area of ​​the site with buffers in the finished form. 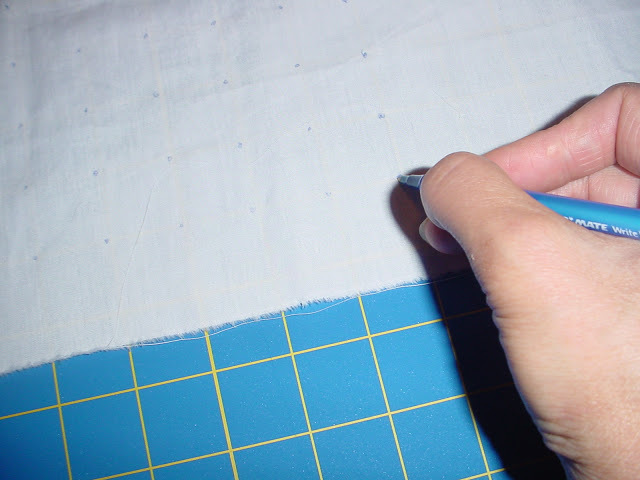 Depending on the pattern, the buffers are marked from the front or the underside of the fabric so that the markings can be removed later. 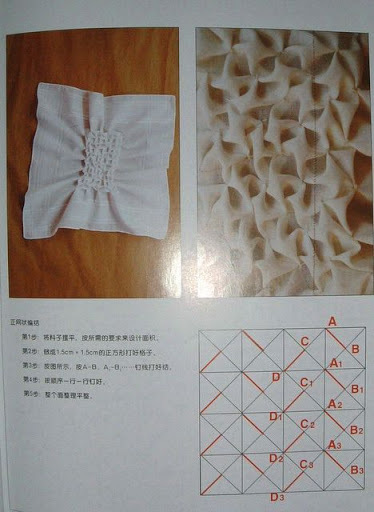 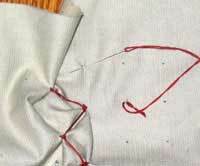 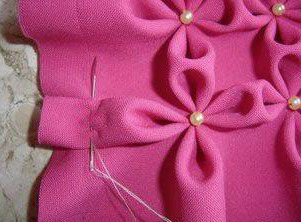 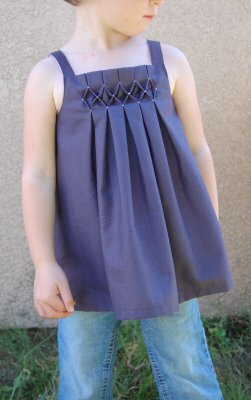 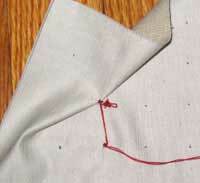 The points are connected by strong threads to the tone of the fabric. 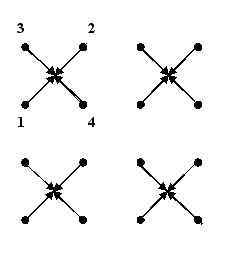 It is easier to collect buffers that are executed from the wrong side. 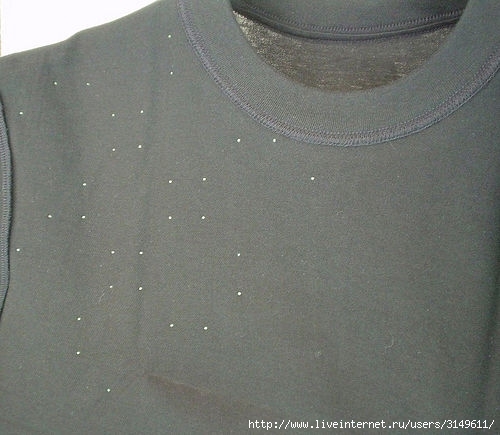 Here the main thing is not to leave punctures from the face, and it's not terrible if there are markers left. 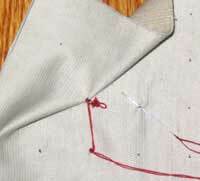 If you collect "facial" buffers, in the junction of the points sew beads, if, of course, it fits there on the model. 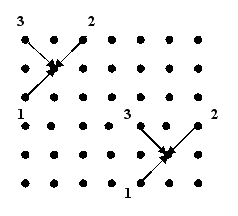 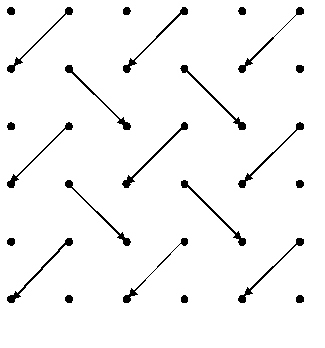 In order not to get confused, mark not only the points, but also the directed lines connecting them. 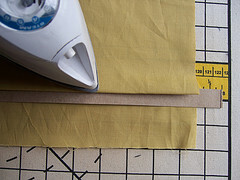 The scale of the layout depends on the scale of the product. 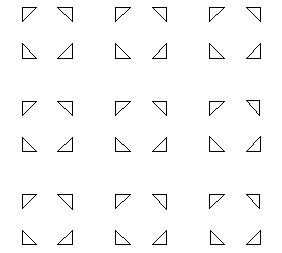 To understand what you need, make a layout. 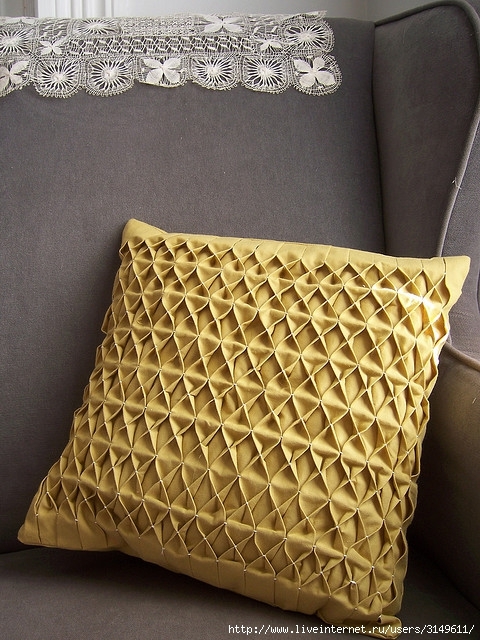 Clothes, curtains, cushions - wherever you apply buffers - it will be gorgeous! 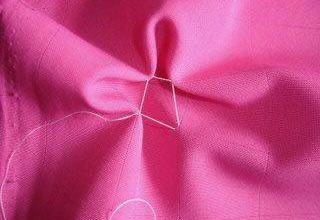 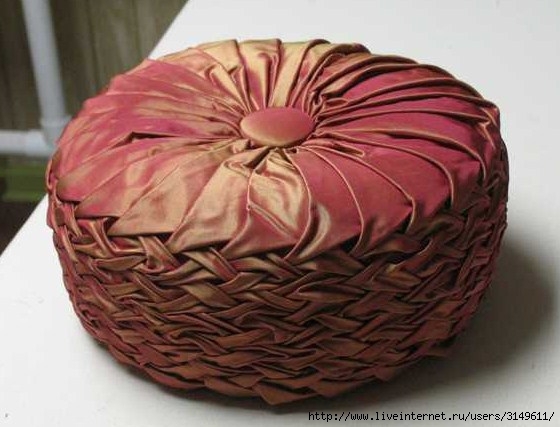 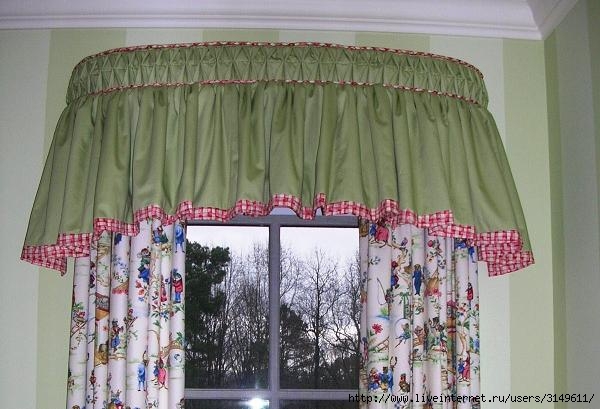 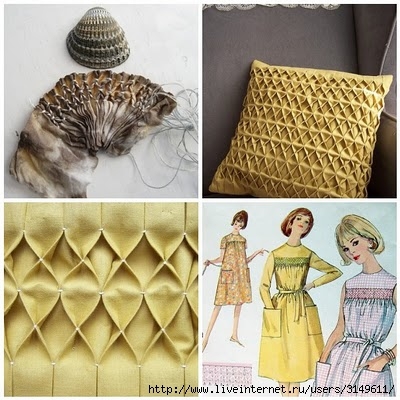 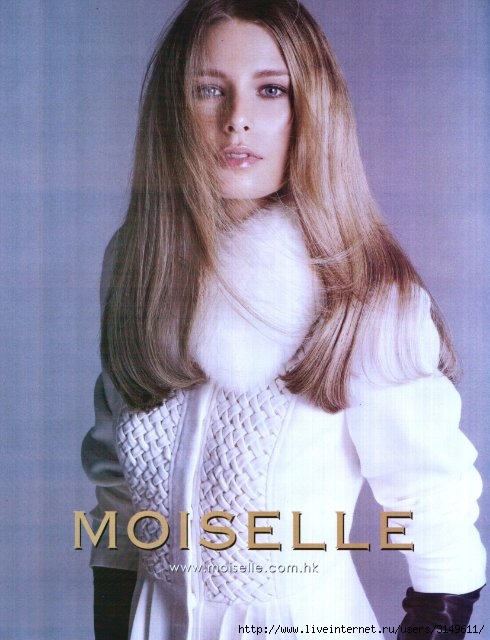 Fabrics are preferably pile or silk, with different base colors. 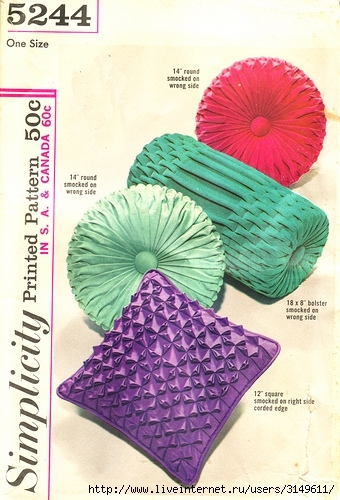 The first variant: Pads do not collect, and as though are added. 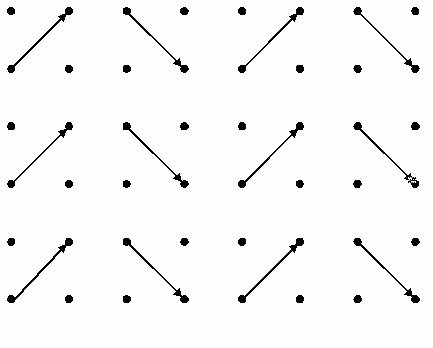 That is, corner points do not contract into one, but leave a thread between them, from its length it depends on how convex the element will turn out. 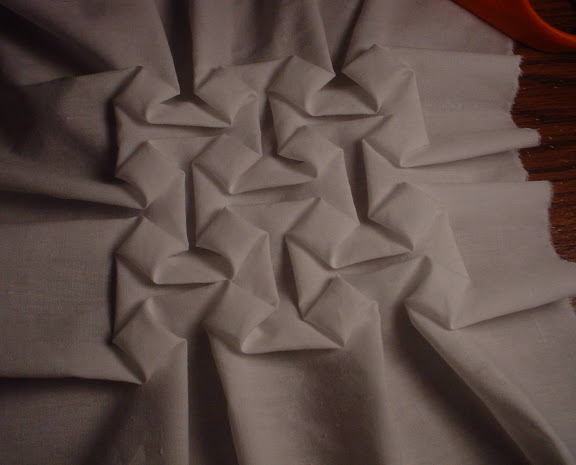 Start from any angle, fixed at one point, then - broach to the next corner, fixed there, etc. 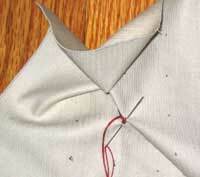 Return to the starting point, fixed and tear off the thread. 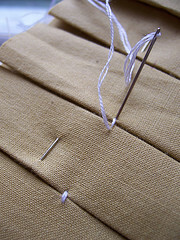 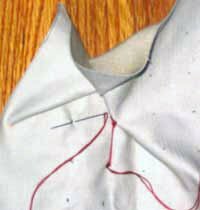 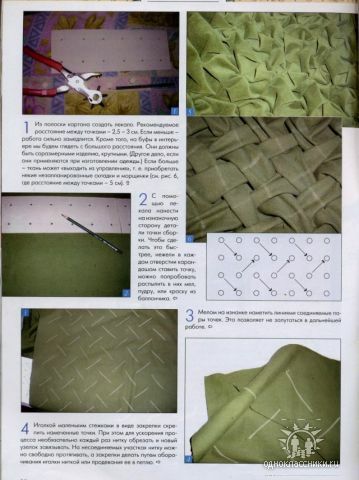 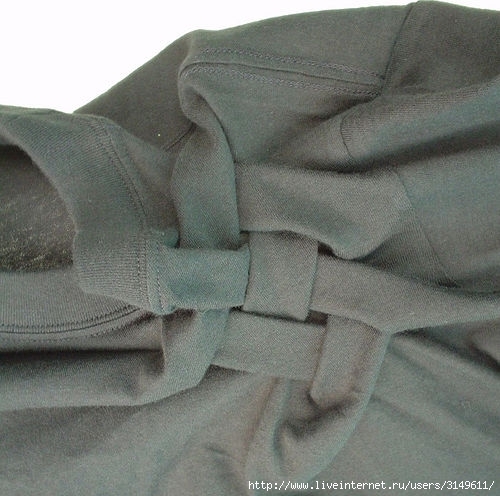 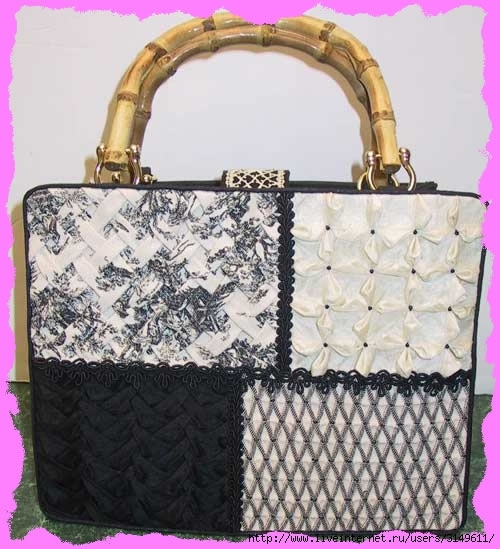 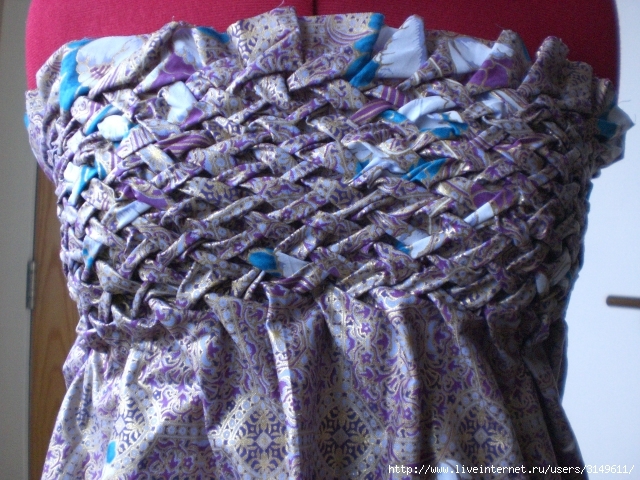 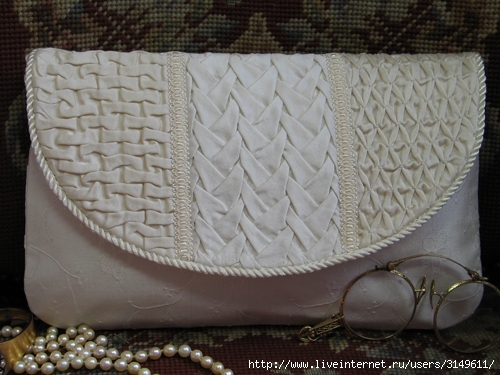 The second option: the same path goes through small, even the smallest stitches, trying to avoid the obvious punctures on the front side, fixed in each corner, previously slightly pulling the padded stitches. 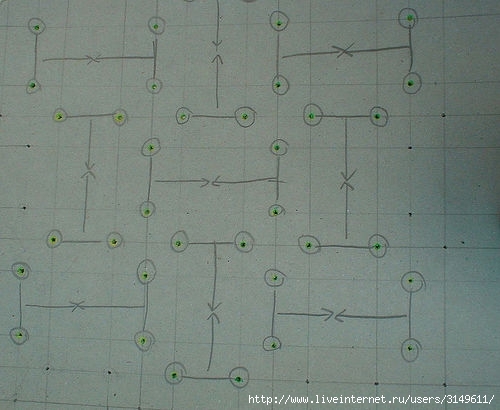 The outline of the picture can be not only square, try to mark out these buffers in the form of circles, use the desired diameter of the template. 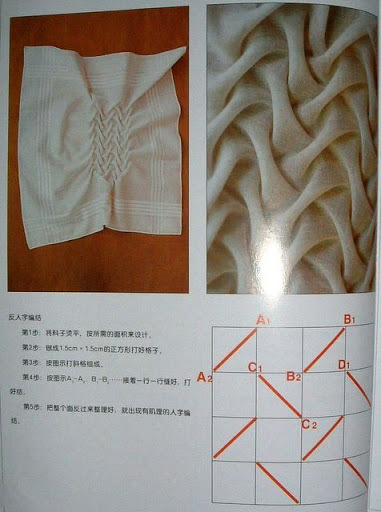 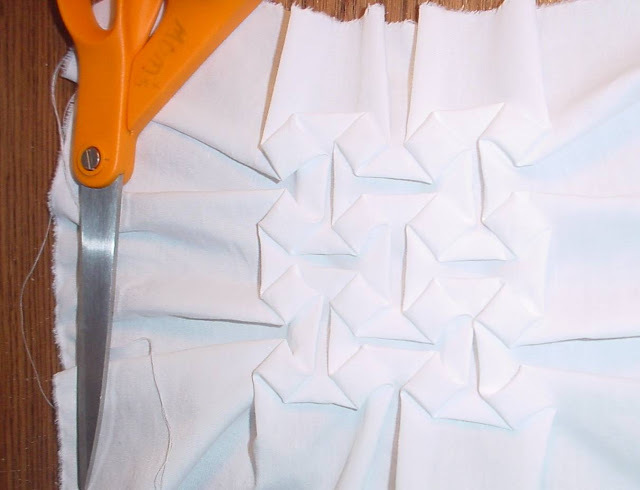 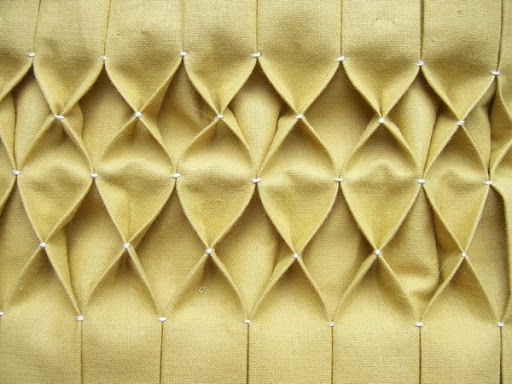 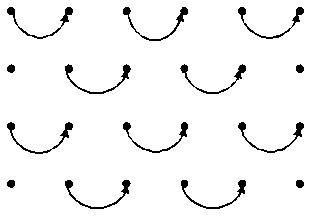 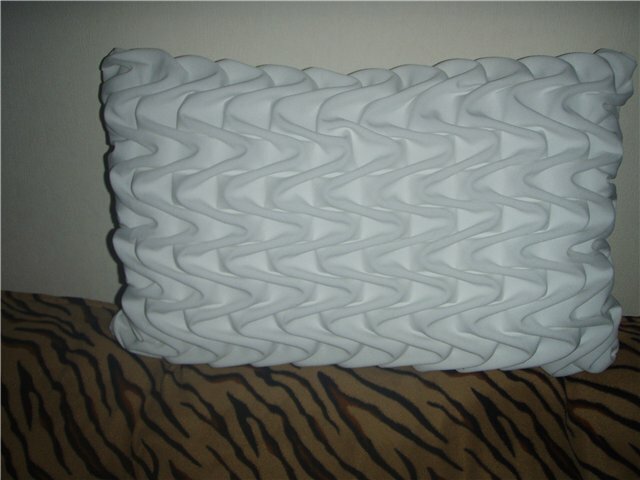 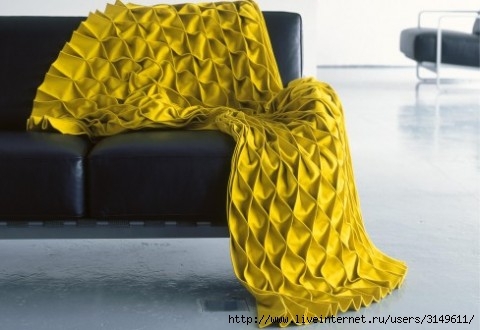 The folds of the buffers resemble bends and waves on crystal dishes. 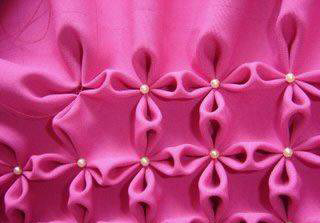 The same whimsical, intricate, and VERY beautiful.